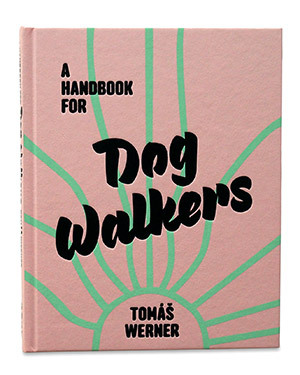 A Handbook Dog Walkers by Tomáš Werner is selected from a series of over 100 photographs of a small dog called ‘Q’ taken in Miami over a period of two months in autumn 2014. 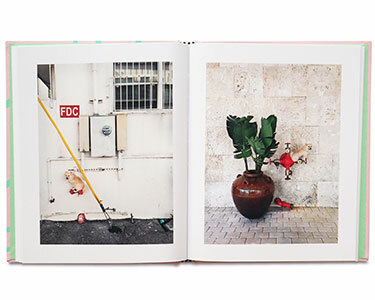 Werner uses the fading elegance of Art Deco Miami as his ready-made, outdoor studio. 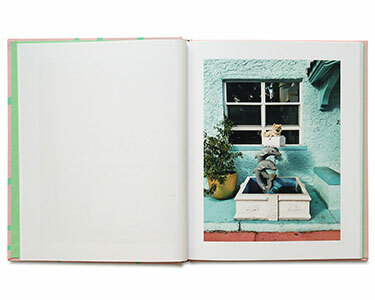 The only prop, the tiny dog ‘Q’, is perched atop of fountains, pipes, letterboxes, sculptures and plinths. The backdrops are varied but the stylised painted buildings and the consistent Florida sun add a uniformity to the images, which become a typological study of the smaller details Floridian architecture and urban environment. 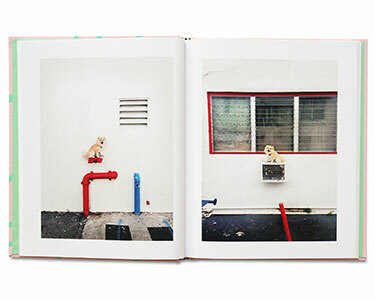 The focus of all of the images is the dog, ‘Q’, a four year-old Pomeranian. A breed popularised by royal owners such as Queen Victoria, its size has been breed down to less than fifty percent of its original size – artificially evolved to be the perfect size for Werner’s project. The dog has been portrayed in art for thousands of years from cave paintings to Roman statues, Francisco Goya, George Stubbs, Claude Monet, David Hockney and William Wegmen. 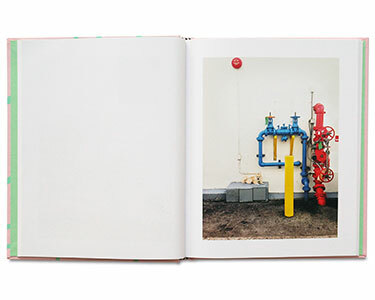 Werner’s project is a playful extension of this tradition. A symbol of fidelity, a companion and a prized possession, in these photographs ‘Q’ is placed on pedestal after pedestal. ‘Q’ plays his part –always trusting and following Werner’s direction, standing still and waiting for the photograph to be taken, on Werner’s Iphone. Tomáš Werner (b. 1977) was born in Piestany, Slovakia. His work has been included in numerous exhibitions including Recursion at Bohemia Regent, Czech Republic (2014), Hors Norme at Fiducia, Ostrava, Czech Republic (2013), Episode 1: Rules of Attraction, Insitu, Berlin (2013), Romantic Construct, Prague Biennale, Czech Republic (2011), Sans Titrexi, Galerie 35, French Institute, Prague (2010) and Yeasty Medium (Slovak Photography 1990 – 2010, Dom Umenia, Bratislava, Slovakia (2010).